The dark and compelling Irish American gang lifestyle of early 1900s Brooklyn pulses through this sharp, hardboiled drama. 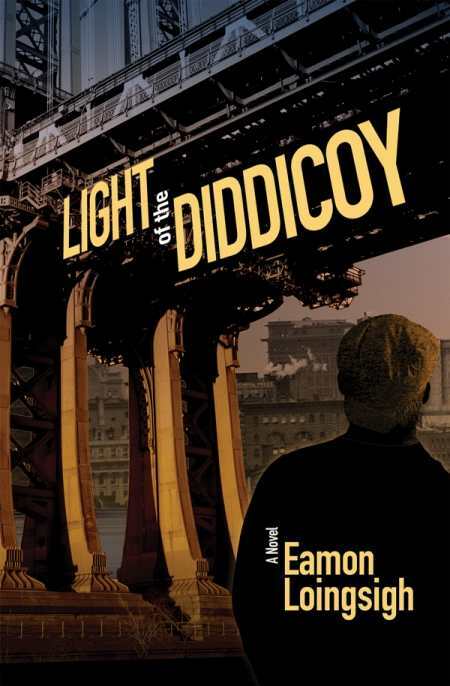 Eamon Loingsigh (pronounced Lynch) crafts a tale of early 20th-century Brooklyn that peers into the life of the gangs that controlled the waterfront and considers what honor is in a world where the struggle to survive requires a different moral code. The author explores the darker side of immigrant life, the mentality of gangs, and how right and wrong transforms from black and white to shades of gray. Gangs, it seems, offer the only ray of hope in dark circumstances—but with a twisted view of looking out for “their own.” Illegal activities abound. Fighting and murder is expected. Hardboiled, murderous thugs bully and fight dirty to survive. Yet a kind of intense care is found within the group—if you stay within its rules. Liam must decide how far he will go for this new “family,” and he must choose what path he will take as he leaves his innocence behind. Loingsigh’s book looks at a fascinating lifestyle drawn from his extensive research and his own family history. The plot builds and climaxes well, with tension maintained. Though the drama is constant, it allows moments of appropriate reflection. Key characters are fully dimensional. The author’s voice in the beginning booms like that of a classic Irish storyteller by a fire: “A long time ago it was, when I was young and running.” This tone, if maintained, would have been uniquely powerful; the somewhat different voice that settles in, though, still proves strong. The writing is sharp when gangsters are involved, yet it preserves a poetic Irish heart. It speaks of “barge horns moaning like giant creatures” and winds “spinning loose papers and dust into pirouettes of refuse.” The only minor weakness occurs when the first-person point of view is occasionally broken. Most striking is the glimpse into the draw of gang life. When it seems the only ones looking out for you do so through murder and bullying, one’s moral code turns upside down. And honor means doing what needs to be done for your own, no matter what. Compelling and insightful, Light of the Diddicoy is an interesting journey into the making of a gangster.